A volcano near a ski resort in eastern Japan erupted Tuesday morning, killing a Japanese defense force member taking part in training and injuring 11 others, including two people who were left in serious condition. The unexpected eruption of Mt. 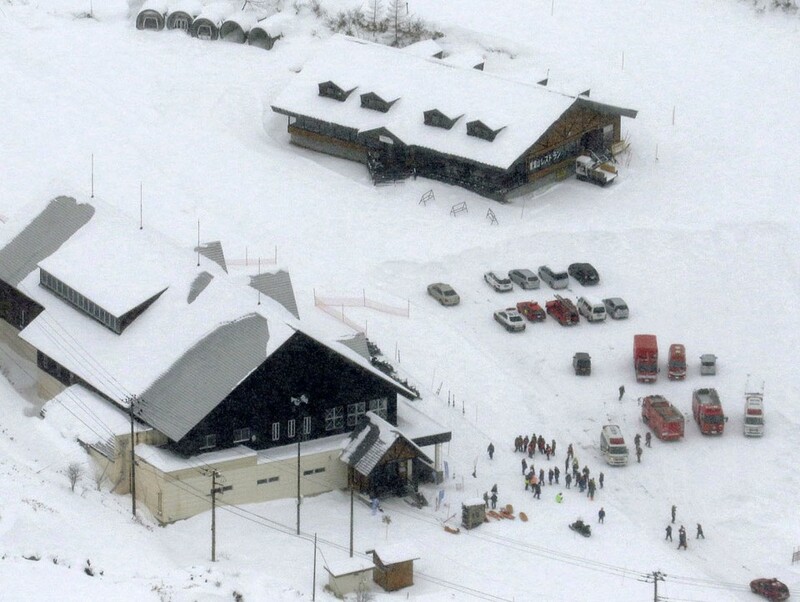 Moto-Shirane in Gunma Prefecture shortly before 10 a.m. halted ski lift operations, leaving around 80 people, including tourists from Taiwan and Britain, temporarily stranded in a restaurant near the top of the mountain. A weather agency official said observational data had not indicated heightened volcanic activity, highlighting the difficulty of issuing disaster alerts in advance in Japan, which is prone to volcanic eruptions and earthquakes. Around 30 Ground Self-Defense Force troops of the 12th Brigade, well-known for being sent to areas affected by natural disasters, were engaging in ski training in the area at the time. According to the GSDF and the Defense Ministry, a 49-year-old male GSDF member died and seven other troops were injured, including the two in serious condition. 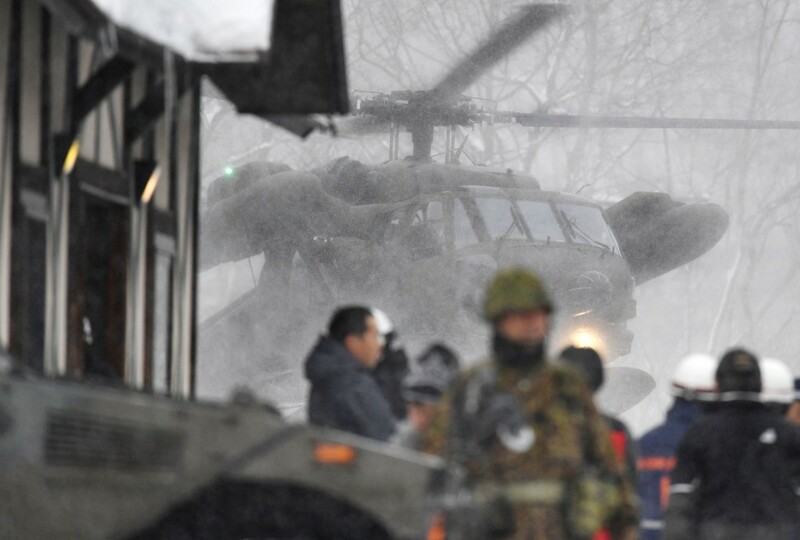 The troops were initially believed to have been hit by an avalanche, but Defense Minister Itsunori Onodera said they appeared to have been pummeled by volcanic rock. The remaining four who were injured are mainly skiers, according to local rescuers. People who survived the disaster spoke about how volcanic rock shattered the glass of a gondola on the ski resort's aerial lift and smashed through the roof of the restaurant. "I was scared to death," said a 71-year-old man from Tokyo, who was riding in the gondola, recalling how two stones smashed the windows. He said the lift was halted for about 30 minutes. A 60-year-old man from Kawasaki, southwest of Tokyo, said he heard a strange sound when he was snowboarding near the mountain peak at around 10 a.m. He then heard a rumbling sound and volcanic smoke was soon all around him. He felt pain in his left arm, apparently hit by a stone of around 20 to 30 centimeters in diameter. Feeling his back being hit by more stones, he burrowed under the snow until it was safer to move on. He descended the mountain by foot, only to find his left arm broken. His ski wear was covered with ashes and had a number of holes. "I was glad that I had my helmet on," the man said. 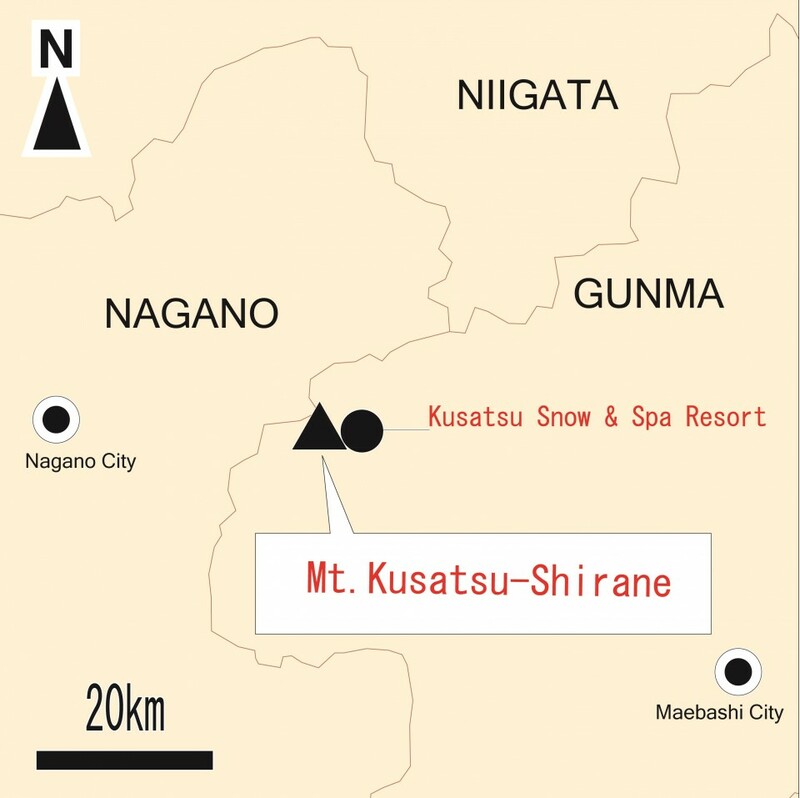 At the mountain-top restaurant, Masaru Suganuma, a 73-year-old resident of Kusatsu, witnessed stones breaking through the roof not too far from him. Electricity supply stopped and Suganuma, along with others, rushed to the basement. "It's really surprising such a thing could happen," he said. The government has not heard of additional casualties or missing people in addition to the 12 victims so far, Chief Cabinet Secretary Yoshihide Suga said at a press conference in the afternoon. Following the eruption at 9:59 a.m., the Japan Meteorological Agency raised the volcanic alert status to 3, a level that restricts entry to the mountain, while warning large rocks could continue to rain down within a 2-kilometer radius of the eruption site. The eruption occurred about 2 km from a crater that the agency had been monitoring after assessing it was the most likely to erupt. Unable to confirm the situation with security cameras installed in the area, it took about an hour for the agency to release information that "an eruption seems to have occurred." Plume conditions remain unknown due to bad weather, but the agency said it is unlikely that ash deposits will reach the nearby Kusatsu hot spring resort and residential areas. The central government has set up a liaison office at the prime minister's office to gather information on the eruption. Japan has 111 active volcanoes, with the agency monitoring the activity of 50 including Mt. Kusatsu-Shirane. The eruption alert level for Mt. Kusatsu-Shirane was at one point raised to 2 on the five-level system in 2014. But the agency lowered it to 1 last June, which only indicates the "potential" for increased activity. Mountain climbers are not required to take action at levels 1 and 2. In 2014, Mt. Ontake in central Japan also erupted unexpectedly, killing 58 people and leaving five missing in the nation's deadliest volcanic disaster.